Only 10 days to go until our 4th Anniversary FREE Open Day! Make sure you mark Saturday March 29th in your diaries, because this event is gonna go off with a bang! Everyone is welcome to join in the fun! We’ll have guest instructors, prizes & giveaways on the day. 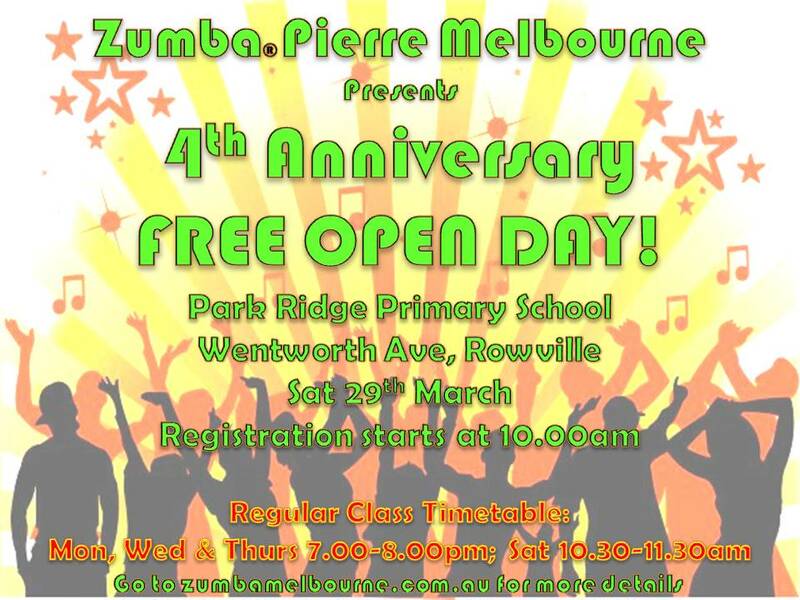 Park Ridge Primary School, Wentworth Ave, Rowville at 10.30-12.00. Registration starts at 10.00am. Let’s celebrate Zumba Fitness style! !